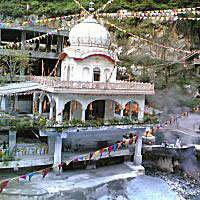 The Manikaran Gurudwara or Sri Guru Nanak Dev Ji Gurudwara is commemorated to the visit of Guru Nanak Dev to this place. It is mentioned in the Bhai Bala Janam Sakhi or the 'Twarikh Guru Khalsa' by Giani Gian Singh. 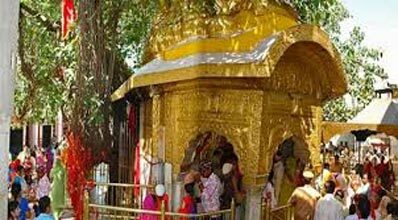 It has been mentioned that accompanied by his disciple Bhai Mardana, the Guru reached Jwalamukhi temple after visiting Kalanaur, Gurdaspur, Dasuya, Triloknath, Palampur and Kangra. 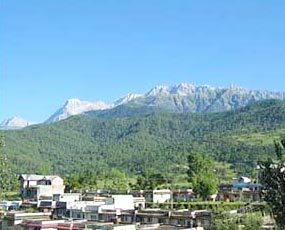 The Guru then proceeded towards Mandi and after visiting Chamba and Kullu, he came to Bijli Mahadev. 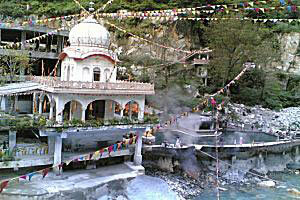 After preaching at all these places Guru Nanak Dev came to Manikaran. 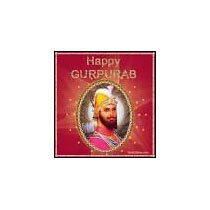 Morning drive for Anandpur Sahib, visit of Anandpur Sahib Gurudwaras, drive for Mandi, night at Mandi Hotel. 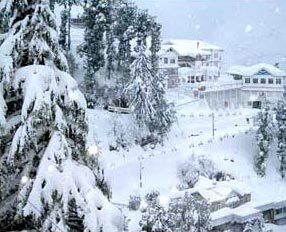 Breakfast, drive for Manikaran, visit of Gurudwara Manikaran Sahib and later drive back to Mandi, Night at Mandi Hotel. Breakfast, Visit of Gurudwara Sri Guru Gobind Singh at Mandi (Gurudwara Palang Sahib) and Gurudwara Rewalsar Sahib, night at Mandi hotel. Breakfast, drive back for Jalandhar and reach Jalandhar late evening. 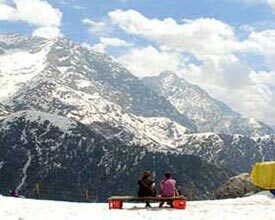 Destinations Covered : Khajjiar, Palampur, Dharamshala, Jalandh..